Our work awakens the senses, enlivens the spirit, and connects us more deeply to one another and our environment. Ticket sales and grants cover only a small percentage of our budget. We depend on the generosity of individuals. Simply put, WE can't do it without YOU. 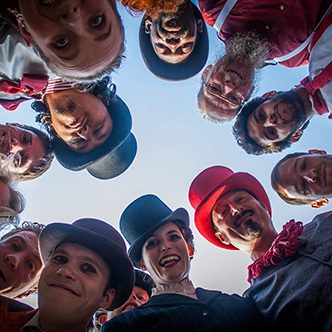 Together we create stunning works of site-integrated theatre. Together we tend the flame of culture. 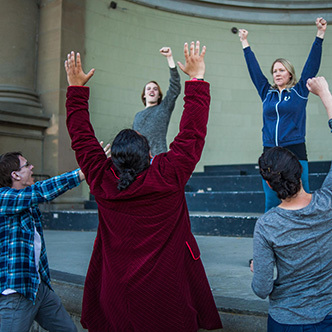 We Players patrons are our triumphant heroes and trusted allies - champions of a visionary creative culture in the Bay Area. Will you join our Circle? Become a patron and join forces with We Players. and help us make magic tomorrow. With the help of a $12,500 donation match from The Henry L. Hecht Family Fund, your dollar goes twice as far! Since we began our partnership with the National Park Service in 2008, we’ve reached over 20,000 people, we’ve created 18 fabulous full scale productions, plus 8 new music concerts, 8 place-based visual art exhibitions, 7 smaller works - like Mother Lear, and numerous education events and workshops. We’ve worked in 8 National Park sites, 2 California State Park sites, 6 municipal and regional parks, received accolades from around the country, and garnered high praise from both critics and audiences alike. We're still cooking up our plans for 2019, and can't wait to announce the details early in the new year! 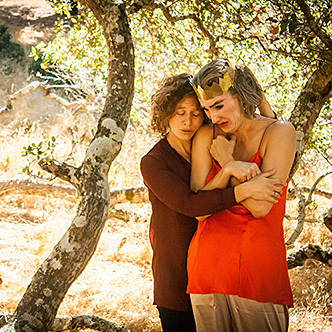 We'll be creating a new intimate Shakespeare-inspired production in the spring as well as sending Mother Lear on a local tour, with thanks to the California Arts Council for their generous support in getting Mother Lear to new audiences. We're celebrating Courtney Walsh and Ava Roy for their Theatre Bay Area Awards finalist nominations for best director, best overall production, and for their awards for best actor in a principal role. In Mother Lear, Courtney brilliantly portrays an irascible middle-aged scholar with dementia who communicates with her caretaker daughter (Ava) using only the text of King Lear as the two struggle with aging, love and their own balance of power. See it again in spring 2019 and send a friend to experience Mother Lear for the first time! 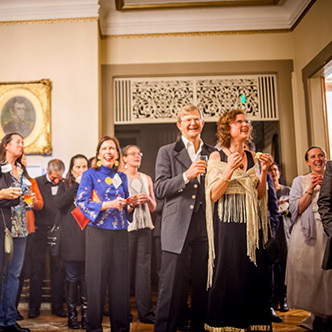 Join us for our Season Launch Party in March 2019 and celebrate the launch of the new season with our inner circle of performers and supporters. "AN EXPERIENCE OF A LIFETIME YOU WILL NEVER FORGET"